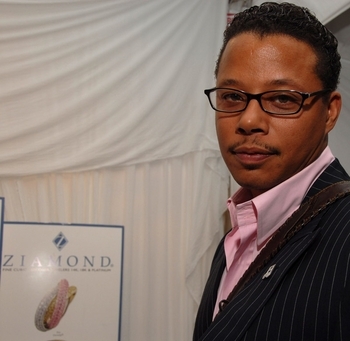 Terrence Howard is always sharp, classy and a true gentleman. Terrence is wearing a custom Ziamond cubic Zirconia cz lapel pin in 14k gold. Ziamond Features the finest hand cut and hand polished cubic zirconia cz available.